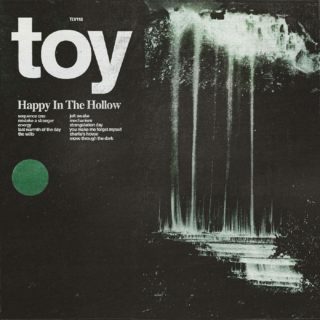 It’s growing hard to remember when Toy and The Horrors were considered kindred spirits of gothic krautrock. While the latter have drifted towards ’80s synth rock, Toy have increasingly set the controls in the direction of the sun. This journey continues on the Brighton quintet’s fourth album, although it sounds like they’re in danger of losing their way. The first three tracks alone take in baggy (‘Sequence One’), indie-disco shoegaze (‘Mistake A Stranger’) and the remnant darkness of punk (‘Energy’). ‘You Make Me Forget Myself’, meanwhile, is an abject lesson in why Ride fell out of favour the first time round. Yet just when it seems like it was a mistake to self-produce the release, it tonally shifts and the band rediscover their groove. Much like 2016’s ‘Clear Shot’, the primary influence for these tracks is late 1960s acid pop. At its most immediately thrilling is ‘Jolt Awake’, which takes the guitar line of The Byrds’ ‘Eight Miles High’ and bolts it onto a droning metronomic rhythm. ‘Move Through The Dark’ also straddles eras by adding a Joy Division style bass-line to JAMC psych-rock. Sadly, however, there are too few of these moments to make ‘Happy In The Hollow’ a truly blissful place.